He was born in Bialystok. 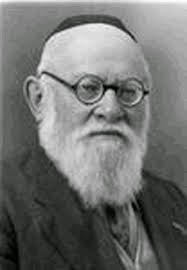 His father, Yitskhok-Ayzik, was a follower of the Jewish Enlightenment movement and an early Zionist; in the early 1880s he changed his surname Bendet to Ben-Tovim, and in a booklet he wrote, entitled Etsat shalom (Advice for peace), he signed his name Even Tovim. Serving as R. Shmuel Mohilever’s secretary, the elder Ben-Tovim in 1890 accompanied him on a trip to Palestine and settled there. In 1891 he brought his family to Palestine as well. In the same year, Zalmen Ben-Tovim began to write for Ḥabatselet (Lily) and to send in correspondence pieces to Hatsfira (The siren) and Hamelits (The advocate). Later he contributed to Ben-Yehuda’s newspapers, to Avraham-Moshe Luntz’s Luaḥ (Calendar), and to Haḥerut (The liberation), Hamoriya ([Mount] Moriah), Doar hayom (Today’s mail), Haaretz (The land), Luaḥ yerushalaim (Jerusalem calendar), and other newspapers and magazines, signing his name with the pseudonyms: Hatsofe (The spectator), Abi-Zvi, Z. Ben-Yitzḥak, and Ish-Yehudi. For many years he was the Jerusalem correspondent for Morgn-zhurnal (Morning journal) in New York, and he published in Amerikaner (American) original articles and translated from Arabic folklore. From early on, he worked as a teacher in schools in Jaffa, Ekron, and Jerusalem. He was also active in the community and took part in the founding of Ḥevrat yishuv eretz yisrael hakedosha (Society for the settlement of the sacred Land of Israel), the Aḥava Association, and the Mizrachi organization in Jerusalem. Among his books: Hakadish lifne kol-nidre (The kaddish prayer before Kol Nidre), a translation from German of Sh. Cohen’s stories; Hanegef (The plague), translated from the Russian; and two booklets concerning the history of old-age homes and Shaare-Zedek Hospital in Jerusalem. He died in Jerusalem. Source: D. Tidhar, Entsiklopedyah leḥalutse hayishuv uvonav (Encyclopedia of the founders and builders of Israel), vol. 2, p. 614.